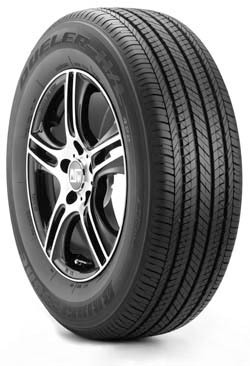 Bridgestone introduces the Dueler H/L 422 Ecopia. This all-season tire incorporates the Ecopia technology to provide low rolling resistance. The Dueler 422 is designed for light trucks, SUV and crossover vehicles. The low rolling resistance improves fuel economy while still delivering long life and wet handling performance. The tire model number 422 was chosen for Earth Day, April 22. Adding to its "green" appeal, the tire uses post-consumer recycled rubber. 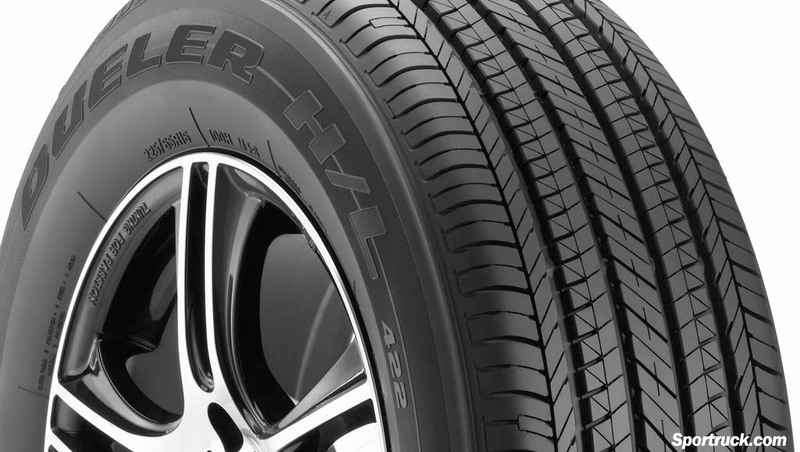 Dueler H/L 422 offers a forty-two percent rolling resistance reduction compared to a standard Bridgestone tire, in this case it was compared to a Bridgestone Dueler H/L Alenza. According to Bridgestone testing, the tire should yield about 4 percent gain in fuel economy. The tire will be available in six sizes, ranging from 16 inches to 18 inches to fit a variety of vehicles including the Cadillac Escalade, Ford F-150, Lexus RX400h, Toyota Highlander and other vehicles. The tire comes with Bridgestone's Buy and Try Guarantee, allowing consumers to return tires within 30 days if not completely satisfied. The Dueler H/L 422 will be available in the second quarter of 2010.